This RPG assets started as fun to test some kind of "low poly" mix with "flat icons" trying to do all them with diagonals, rectangles and keep the most easy as possible and seems i get something with good quality for that i'm selling them! ;) . 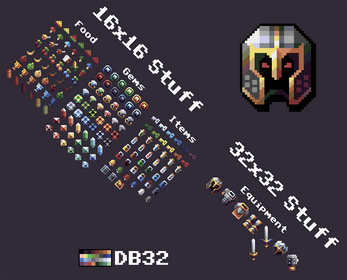 This assets are made using a modification of the DawnBringer palette that includes 32 colors (DB32). 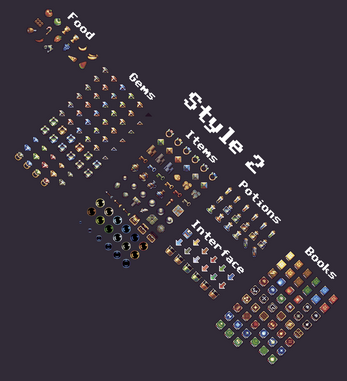 If you don't know what i'm talking about check this. 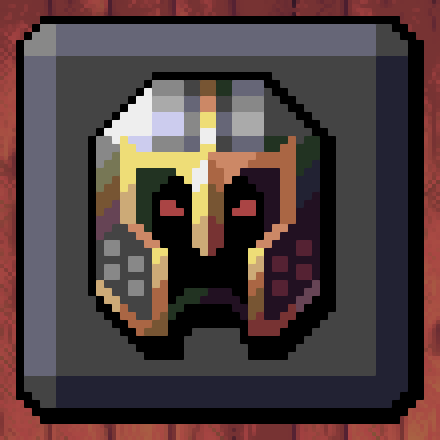 Y ou can use in your commercial projects and no credit back needed, but if you do that, and this means, add a link in your project to this site, i will share your creations on my social networks like twitter, tumblr and also at the end of this page as example of games created with my assets. 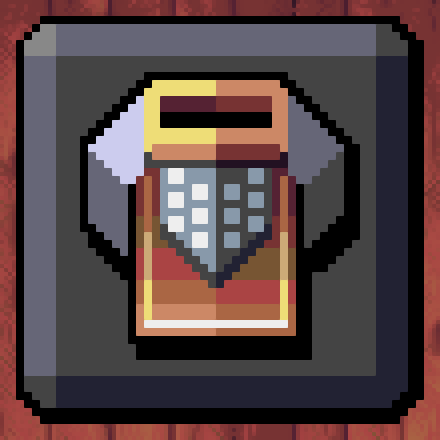 Quid pro quo! Cool right?. 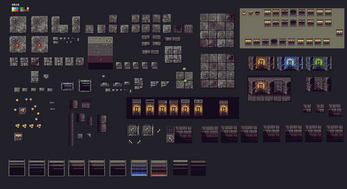 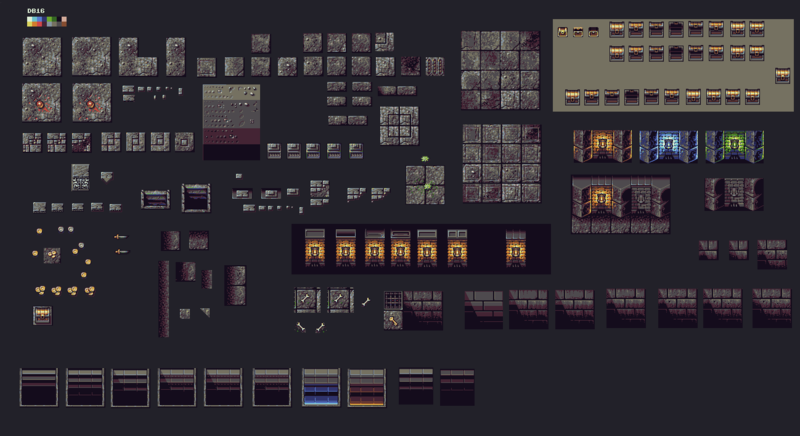 Various: Added the dungeon tiles, interface and other stuff. 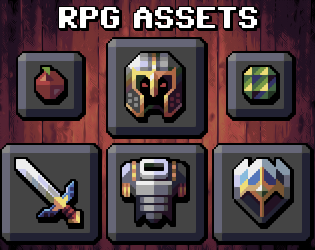 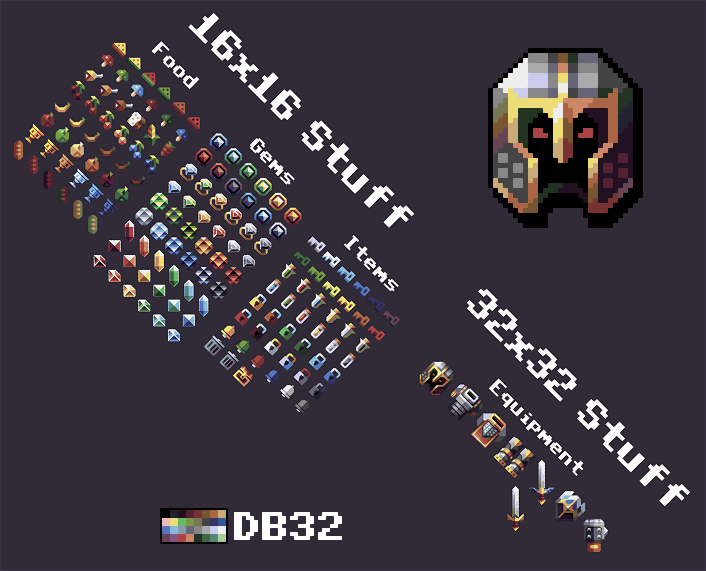 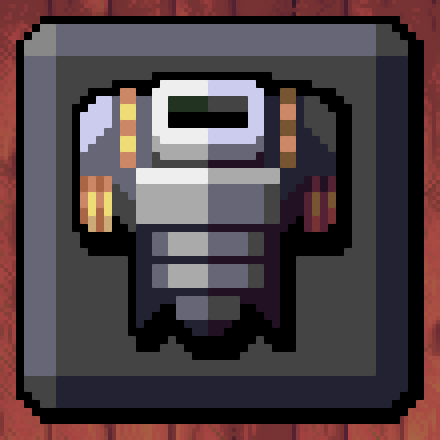 A bunch of 16x16 icon and rpg stuff using my 8 color palette.